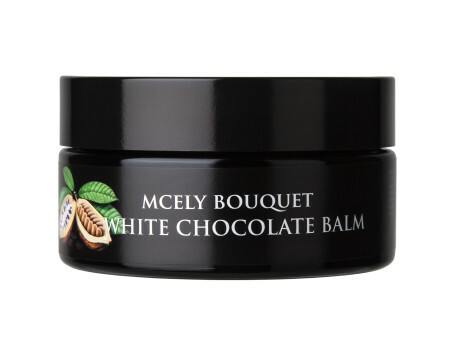 This cocoa-scented body balm with vanilla and bergamot essencial oils provides your skin with maximum nourishment. It contains extracts of chamomile, a deeply nourishing and regenerating combination of cocoa butter and beeswax along with two of the most effective oils – coconut and macadamia. As it does not contain essential oils, it is very gentle, suitable for sensitive skin, including children and those with allergies. Effective against fatigue, stress and nervousness. Cocoa butter, beeswax, vitamin E, vanilla, bergamot. After bathing, scoop a small amount of body balm into your hand. Once the warmth of your hands has softened the balm, releasing the wonderful cocoa smell, apply it to your body. After a few moments, wrap yourself in a towel or terrycloth robe and let the balm penetrate more deeply into your skin.